Since last year, 2015, the new Starlite ferries began arriving in Batangas, the home port of Starlite Ferries Incorporated. So far as of this writing (September 2016) four has arrived in the country, the Starlite Pioneer, the Starlite Reliance, the Starlite Eagle and the Starlite Saturn. 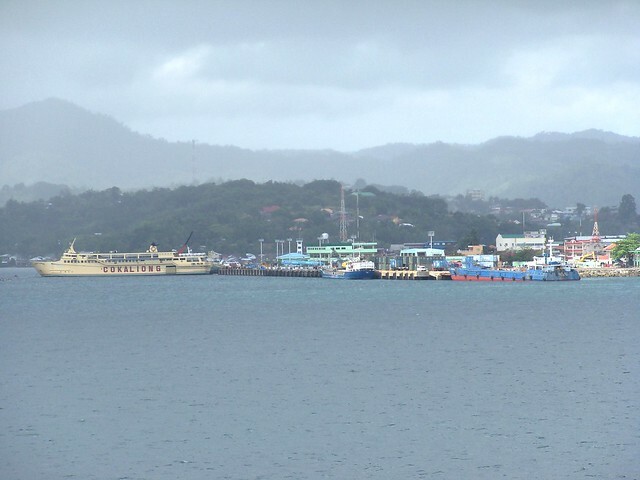 These are brand-new ferries ordered from Japan from a loan extended by the Development Bank of the Philippines (DBP). More are actually on the pipeline and coming soon. These new ferries were built by the Kegoya Dockyard in Kure yard, Japan and by Fukushima Zosen in Matsue yard, Japan (another report said Shimane yard). The common measurements are 67.0 meters length overall (LOA) by 15.3 meters breadth by 9.4 meters depth with a Gross Tonnage (GT) of about 2,700. The DWT is about 915 and the passenger capacity is about 750 which indicates an all-seating arrangement. The top sustained speed of these ferries are 14.5 knots. The owner of Starlite Ferries, Alfonso Cusi is too proud and expansive about his ferries. As advanced features he cites the bulbous stem but then most ferries of this size since 30 years ago already featured bulbous stems. This feature lessens drag which then increases the speed by a little. Cusi also cites its motion dampening system. Admittedly this is a plus on rough seas as added passenger comfort. The owner also cited the deep draft of his new ships. That will add to the stability of the vessel because it lowers the center of gravity. I was hoping Cusi will mention other features like ECDIS but he did not mention it or even INMARSAT (it might have NAVTEX though). I hope the ship has an autopilot and automatic docking system. I also would want to see if she already has the joystick instead of the traditional steering wheel. Plus a collision avoidance system. And a depth finder that is mated to ship’s autopilot to immediately stop the ship if grounding or hitting an underwater object is imminent. If the ship has these features then all the expansiveness of Cusi will be justified. When he talks he makes it sound as if all the other ferries of his competition are already obsolete. Externally, the new Starlite Ferries don’t look much. It is as if she borrowed the lines of a 1960’s ship, to be honest. Actually, the newer ship of Cokaliong Shipping Lines look better aesthetically. Also the Jack Daniel of Sta. Clara Shipping or even the Trans-Asia 3 of Trans-Asia Shipping Lines. If her external lines looked impressive the more that there will have been be “Oh’s and Ah’s”. The ships have high sides. That is a plus on rough seas and also a plus when listing. However, that feature might not be tested as the government is already nervous about any kind of rough seas and will suspend voyages when storm winds several hundred kilometers away reach 60 kilometers per hour which is even less than a full gale in England. But for Cusi to say all ferries here were designed for the calm seas of the Inland Sea of Japan is too much. Some of our ferries from Japan had routes to the Ryukyus or some shimas outside the Japan main islands. To also say that his new ships are the only IACS-classified ship is also out of the line. China belongs to IACS and they have ships here along with the FastCats of Australian design and which are ABS-certified. Many ships from Japan when they came here were also Class NK. I just wonder about the 9.4 meters depth of these new Starlite Ferries. That is double the normal depth of ferries her size. Does she have a second car deck below her main car deck? If that is the case then she will be carrying an impressive rolling cargo capacity. Whatever, her 15.4 meters breadth also caught my attention. ROROs her size normally don’t exceed 14 meters in breadth and many are even less than that. Maybe that is the reason why instead of being sleek they look a little bloated to me. That 15.4 meters might be a plus as that might mean 4 full lanes. It might not accommodate 4 buses or trucks across but definitely it will accommodate two trucks and two sedans or SUVs across while the ferries of this size might have difficulty doing that over the entire length of her car deck. But the caveat is if she can attract that many vehicles. Fifteen new ferries are arriving for Starlite Ferries. That means that where before they can just stick to Mindoro island routes, their home ground , this time around they have to expand to other routes. In media, it was stated that Starlite Ferries will enter the Cebu-Ormoc route. The Cebu to Leyte routes especially on the vehicle side is crowded especially with the entry of the Cargo RORO LCTs and even the well-established overnight shipping companies are cringing at the onslaught of that new paradigm as these offer rates as low as half of the rates they used to charge. Trucks are the biggest source of revenue across Camotes Sea not the sedans or AUVs, at least in rolling cargo. There are no buses in these routes. Can Starlite Ferries compete against them? In trucks the rolling rate is the decision point. In Mindoro, Starlite Ferries has proven they are good in locking in buses as they have in their bag the biggest bus company to Panay, the Dimple Star. But there are no buses here. I wonder how Starlite Ferries will win the trucks which now make a beeline to the Cargo RORO LCTs for they are the cheapest in the route by a big margin. These can afford to do that since they have no investment in passenger comfort and amenities and they can sail slow with their less powered engines and the longer transit times are understood part of the low charge. Compete in passengers? Somehow being new is a plus in the decision of the passengers – as long as the departure times are proximate. I wonder if Starlite Ferries will sail at night because if they will do that then they have to provide bunks and not only that but several classes of accommodations are well. The competition even has Suite Class. Meals and a dining area are also expected. The burned Wonderful Stars of Roble Shipping was the benchmark in that. I wonder if the superior speed of the new Starlite can come into play. In the Cebu-Leyte route if the voyage is at night a superior speed might mean nothing at all because that will only result in an ungodly arrival which does not mean anything to most passengers. If Starlite leaves at 11pm like the competition what is the advantage of a 3am arrival over a 4am arrival? One thing sure if Starlite Ferries come into Ormoc with only benches or seats they will already be losing a lot of passengers. Unless it is a jetseater type of seat in an airconditioned accommodation that is priced low. If it is a day trip the superior speed might factor in a bit. They can depart as late as 1pm and arrive at 5pm which is still acceptable and passengers will have the option of having lunch at shore that is not very early. Or leave at 8am and still arrive at noon. However, at sheer speediness they can’t make much out of it since those who want it real fast will opt for the fastcrafts of Oceanjet, SuperCat or Weesam Express. Or even the plane being sold now by Cebu Pacific. The Starlite Ferries are also carrying a lot of amortization weight in every ship whereas their competitors do not have such burden. Some even have their ships debt-free and some are carrying the low interest and easy terms of the ships from China and that is common in the Cargo RORO LCTs. A rough guesstimate is about P3 million per month of principal and interest payments for each new Starlite Ferries. That could be some P100,000 a day. And that is above any operational cost, depreciation, mandatory fees and insurance charges. Cebu-Ormoc will be the first real test of the new Starlite Ferries. They will be starting from scratch and will not have the advantages and favors of having operating for long in Mindoro where they have already locked-in customers. If in Mindoro they only have a handful of competition but in Cebu-Leyte since all parallel routes are actually competing then they are arrayed at dozen plus competitors which have ships of all kinds. 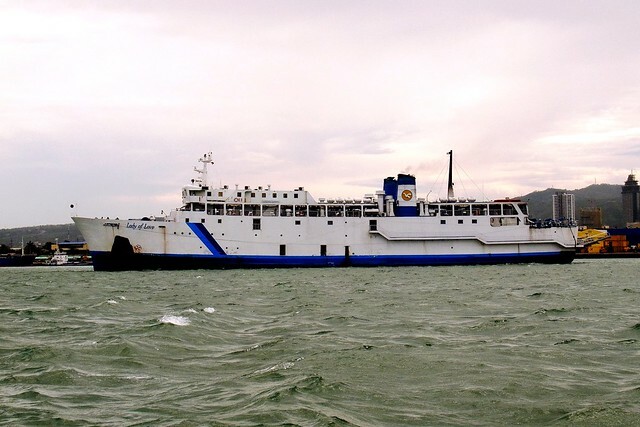 Their main opponent might not be even in Ormoc as it might be the better ships of Palompon, a parallel route where Cokaliong Shipping and Medallion Transport have ferries better than what can be found in Ormoc and are even cheaper. The tough opposition can also be found in the many nondescript ports in Leyte being used by the Cargo RORO LCTs like the GGC Port and the IDHI port along with the the Hindang Port used by Goldenbridge Shipping. A report to me said there is even a new unidentified port 27 kilometers south of Ormoc being used by the Cargo RORO LCTs. And of course Bato, Hilongos and Pingag, Isabel have more than a fair amount of rolling cargoes and passengers. Cebu-Ormoc is also a bread and butter route of the High Speed Crafts which are known to adjust fares to boost ridership. I am really interested to watch how this will play out. They might see a dogfight soon.